Tennis events, such as our Pro-Am Tournament and Wimbledon "Callawassie Style", are highlights for the whole community. 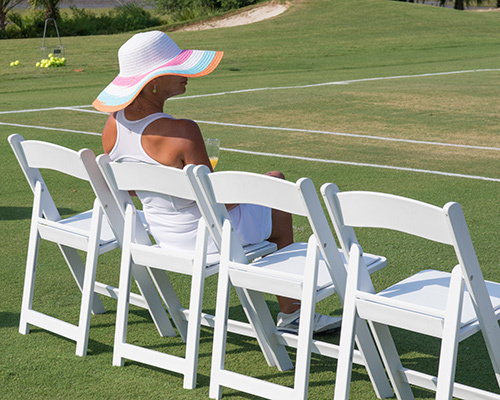 The Callawassie Tennis Association coordinates many tennis and social events, including a group trip to the Charleston Open on Daniel Island, a Kentucky Derby Day, a Summer Luau and an end of year Holiday Party. 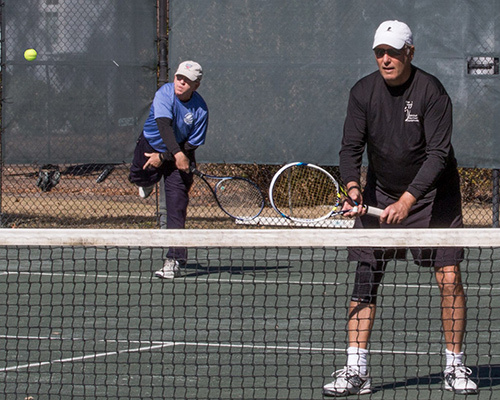 Island tennis enthusiasts enjoy six Har-Tru tennis courts with a pro shop, patio and pavilion. The Callawassie Tennis Association, over 150 members strong, makes our tennis community truly exceptional and all skill levels are welcome. Stop in our Pro Shop to purchase any branded Callawassie Island merchandise. Our members are very proud to sport the Callawassie Island logo, and apparel is just one way to show that connection. 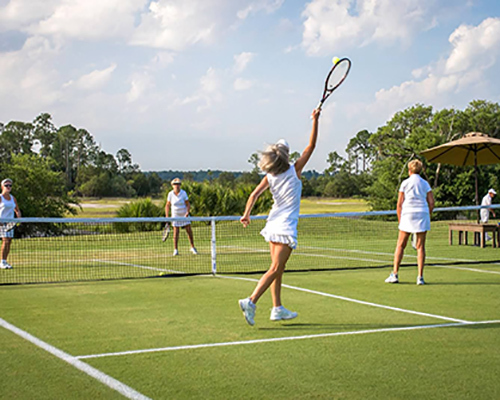 Community tennis, USTA tennis leagues and inter-club exchange matches provide opportunities for both social and competitive tennis across the Lowcountry. On more than one occasion, Callawassie Island teams have brought home trophies at these competitions. 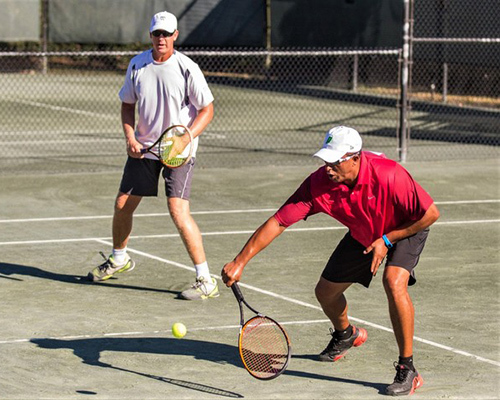 Our full-time USTA and PTR certified professional has worked with community enthusiasts to support the growth of Callawassie Island Tennis since 1995.